Captioning brings together the power of print, voice, and video. It creates the most immersive, clearly communicated event possible. It’s also the most accessible experience for viewers excluded by disability, language, or situation. With that in mind, we’ve compiled this up-to-date resource to answer your questions. 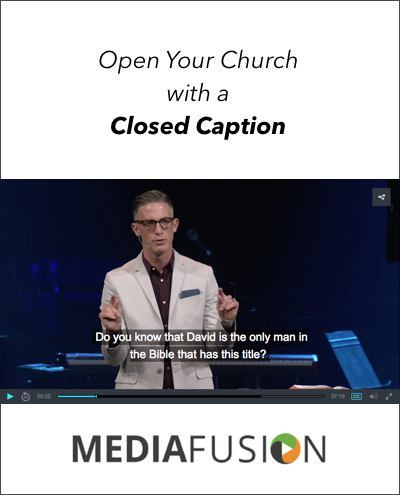 At MediaFusion, we help our partners produce visual media that exceed the market standard for caption quality. We also strive to assist churches in making their content fully accessible to all viewers.